Liebherr’s brand has been seen by hundreds of millions of TV and online table tennis viewers worldwide. The next two years are set to be very special ones, as Liebherr and the ITTF have agreed the next steps of their longstanding joint adventure in elite table tennis. 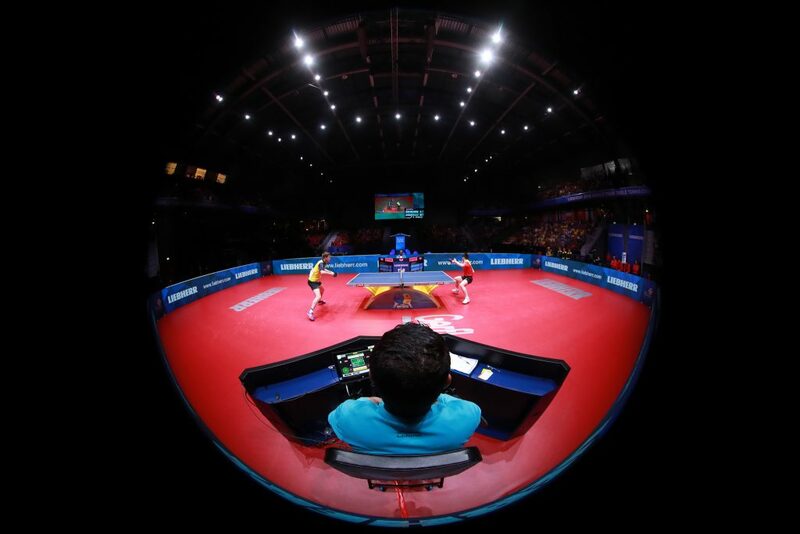 Liebherr – a globally operating family-owned technology company in the construction machinery sector and many other industries – will reinforce its affiliation with the World Table Tennis Championships as Title Sponsor in 2019 (Budapest, Hungary) and Major Sponsor in 2020 (Busan, Korea Republic). In addition, Liebherr will be Title Sponsor for the next two European Championships in 2019 (Nantes, France) and 2020 (Warsaw, Poland), rubberstamping its role as an integral partner of the ITTF’s new commercial strategy. Today’s news is proof of a long term partnership that knows no limits. Over the years, Liebherr has been a Title or Major Sponsor of the World Table Tennis Championships, European Championships, Men’s World Cup, Women’s World Cup and Team World Cup, among other tournaments. Having sponsored the World Championships in 2017 (Düsseldorf, Germany) and 2018 (Halmstad, Sweden), next year’s keenly awaited event in Budapest (Hungary) will further consolidate Liebherr’s position as Title Sponsor in Europe. The Liebherr Group comprises more than 130 companies in every continent of the world and employs a workforce of almost 44,000 people. In 2017, the Liebherr Group achieved a total consolidated turnover of over 9.845 billion Euros.